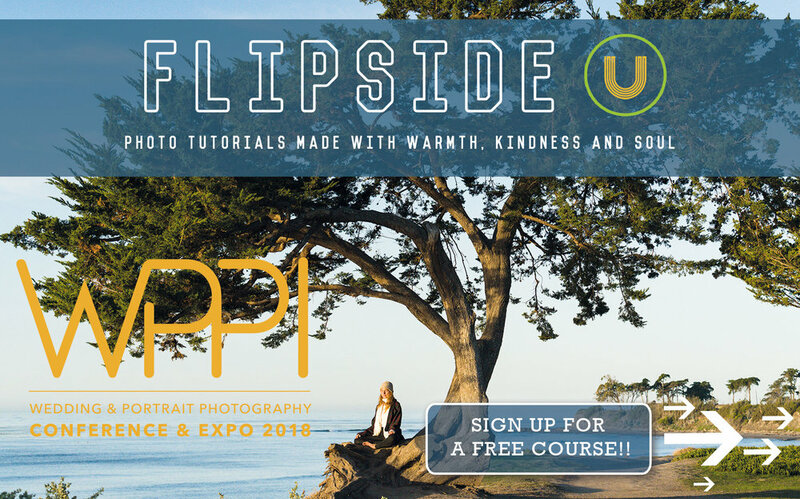 and for notifications of future FLIPSIDE U courses! As a side note, for years I have taught on other platforms (Lynda.com, CreativeLive, etc.) and I am finally starting my own online photo school - I'm super excited about it! And I need all the support and help that I can get. Starting a new venture is completely new to me. As a way to spread the word and to spread some goodwill I'm giving a course away for free - enjoy! Press the play button below to watch a "recap" of the talk from WPPI! Fill out the form below for a free course, ask a question or just to reach out and say hello! Yes, send me a free course!